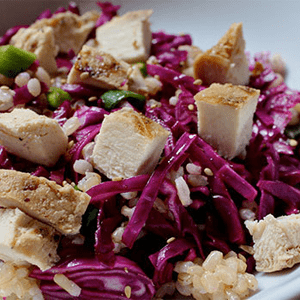 This hearty rice salad with cabbage and chicken will make you think of rice in a whole new way! 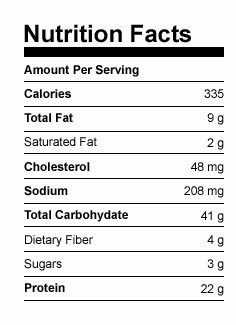 It has a hearty crunch, and 22 grams of protein per serving. Combine oil, vinegar, and lemon juice in a small bowl; whisk to blend. Season with salt and pepper if desired; mix well. Set aside. 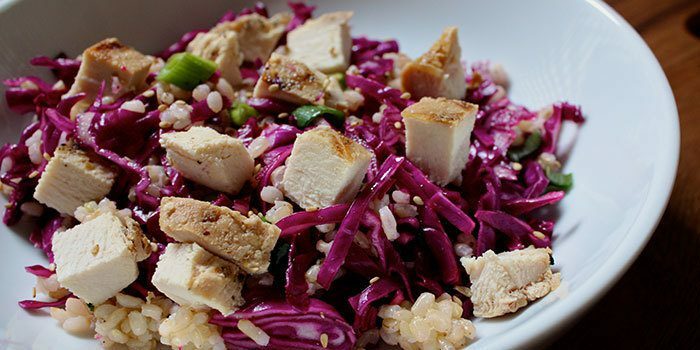 Combine rice, chicken, cabbage, green onion, and sesame seeds in a large bowl; mix well. Drizzle with dressing; toss gently to blend.